Our projects vary from structural repairs such as sill and beam replacements to detailed reproductions of “one of a kind” millwork pieces. 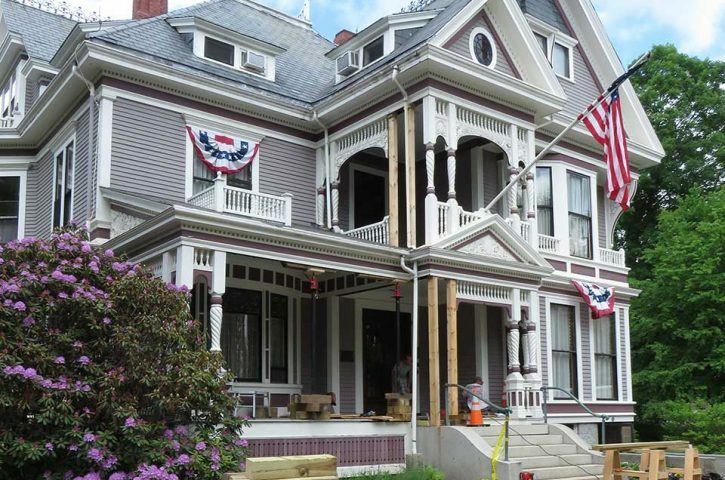 Reproduction and replacement of turned porch columns for the “Hurd Manor” in North Berwick, Maine. Columns were turned on a large lathe, then hand carved to reproduce the “turned rope” and “floral ball” details. 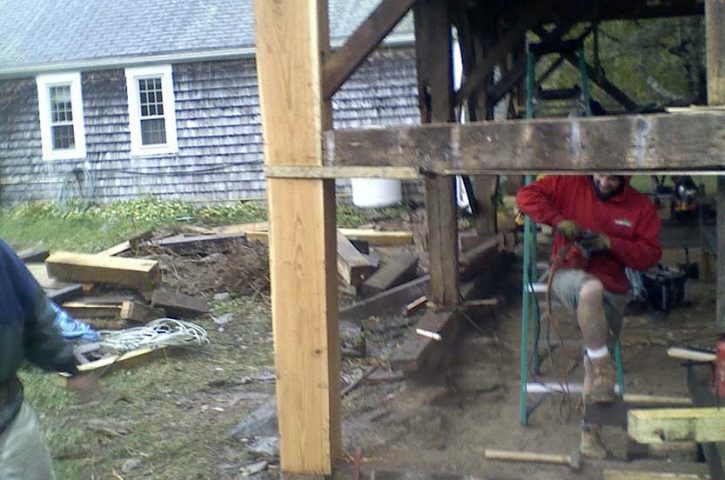 Replacement of a “Gunstock” corner post for a barn in North Berwick, Maine prior to moving the building onto a new foundation. 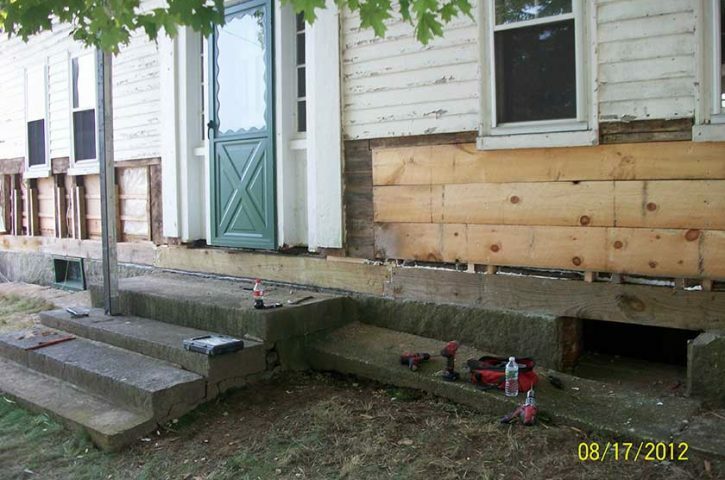 Sill replacement for 1800’s colonial in North Berwick, Maine. Replaced 36 lineal feet of 8” by 8” sill beam on the front of the house and total of 58 feet on the back side of the house.